Mary Cummins, investigative reporter, writer, speaker, activist in Los Angeles, California: Justice Antonin Scalia death a suicide, not murder according to his physician - Justice Scalia, Antonin Scalia "Mary Cummins - Cummins Real Estate Services, appraiser, appraisal in Los Angeles, California - Mary Cummins, Cummins-Cobb, Cobb"
As reported in the media the contents of a letter from Justice Scalia's doctor to the Arizona sheriff have been released. Justice Antonin Scalia had "coronary artery disease, diabetes, sleep apnea, degenerative joint disease, chronic obstructive pulmonary disease and high blood pressure." Justice Scalia also drank, smoked and didn't exercise. The letter is from Rear Adm. Brian P. Monahan, the attending physician for members of Congress and the Supreme Court. Dr. David Zich, a physician of internal and emergency medicine at Northwestern Memorial Hospital stated pulmonary embolism and stroke could "kill somebody very suddenly." 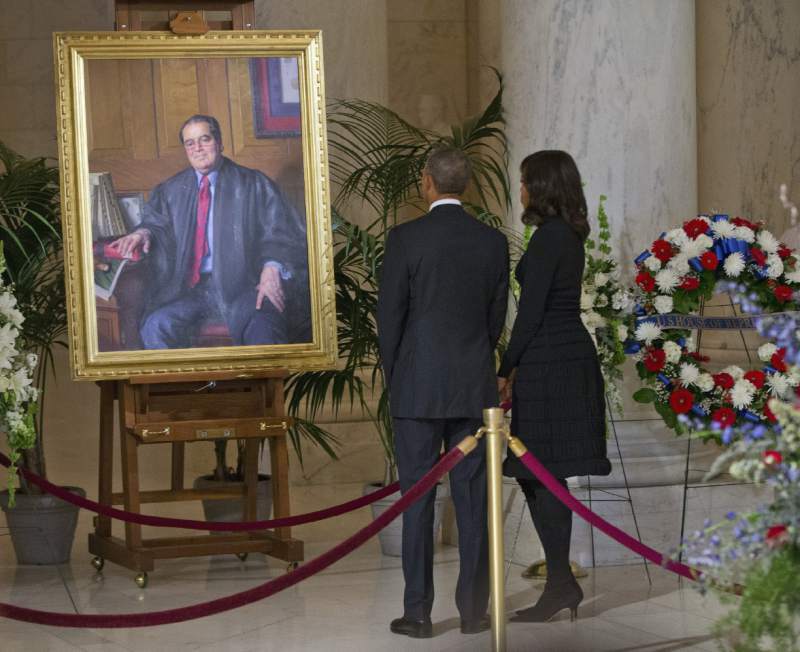 Scalia's death, he said, was unexpected, "but it sounds like it wasn't suspicious." The justice's many ailments, taken together, were "quite dangerous." 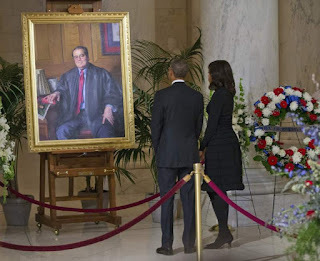 Justice Scalia knew of his many serious heath issues. He did not take action to overcome these illnesses. He should have stopped smoking, lost weight and exercised. All those conditions are related to lack of proper diet and exercise. He basically killed himself. Physicians call this "slow suicide." Others state it is "death by fork." When the patient realizes his behavior is causing serious health issues and he takes no action, the patient obviously doesn't want to recover. Going to the doctor to get medication is not recovery. I'm sure his doctor told him many times he needs to change his behavior or he'll die soon. Deep down inside Justice Scalia did not want to survive. Scalia knowingly allowed himself to die. Justice Scalia was a supposed devout Catholic. Yes, he supported the death penalty which is a major sin. He also supported discrimination which the bible says is wrong. Suicide is also a major sin. The bible also mentions the "Seven Deadly Sins." https://en.wikipedia.org/wiki/Seven_deadly_sins Scalia is guilty of "gluttony, proud look, lying tongue, and he who soweth discord among bretheren." Ex President Bill Clinton was told by his doctor that he had coronary heart disease. In response to that diagnosis Bill Clinton lost weight, ate a vegan diet and started exercising. Clinton wanted to live. Scalia sadly did not. If you or a loved one has any of these diseases, talk to your doctor about proper diet and exercise. Here is a great website on curing these diseases with proper diet. There are many great vegan foods, recipes in that website. Please, take action today to save your life or the life of a loved one.